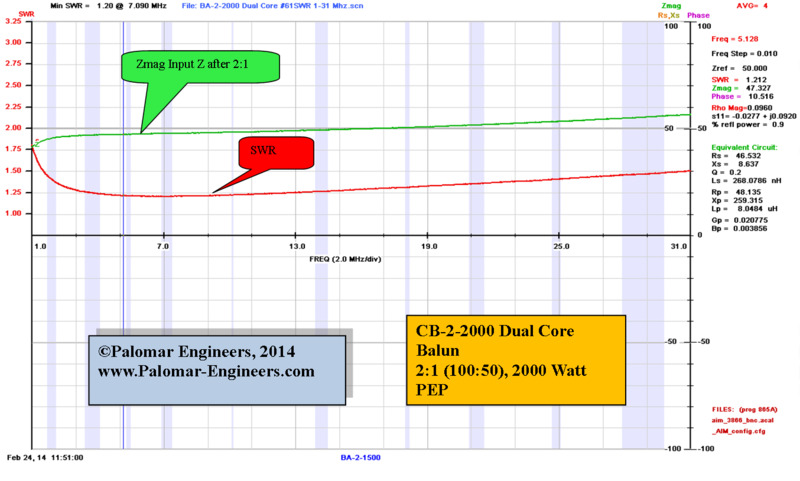 Model CB-2-2000 is a 2:1 (100:50) quad core balun used to translate a 50 ohm input to 100 ohms at RF power levels up to 2000 watts PEP when used with a matched load such as a delta loop, quad or loop skywire. 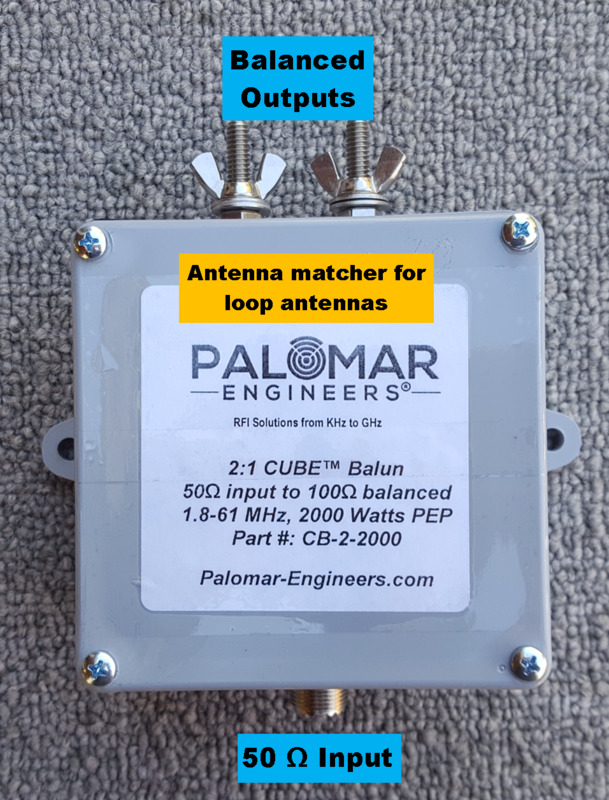 This assembled balun features a quad core configuration for increased power handling and flatter frequency response to over 60 MHz. 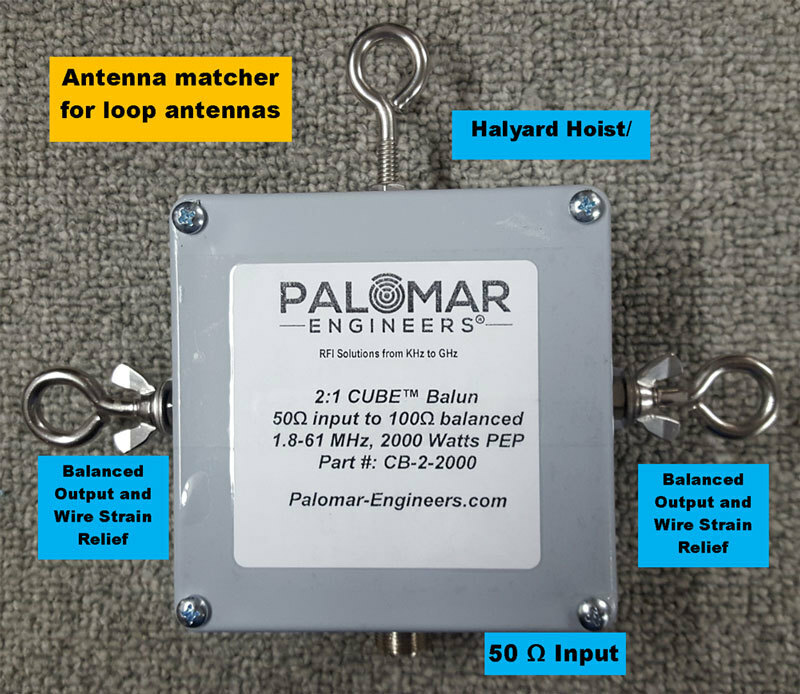 With a matched 100 ohm load the SWR over the frequency range is very consistent from 1.8-61 MHz and SWR is less than 2:1 over the range allowing easy tuning by most radio internal antenna tuners or an external tuner. 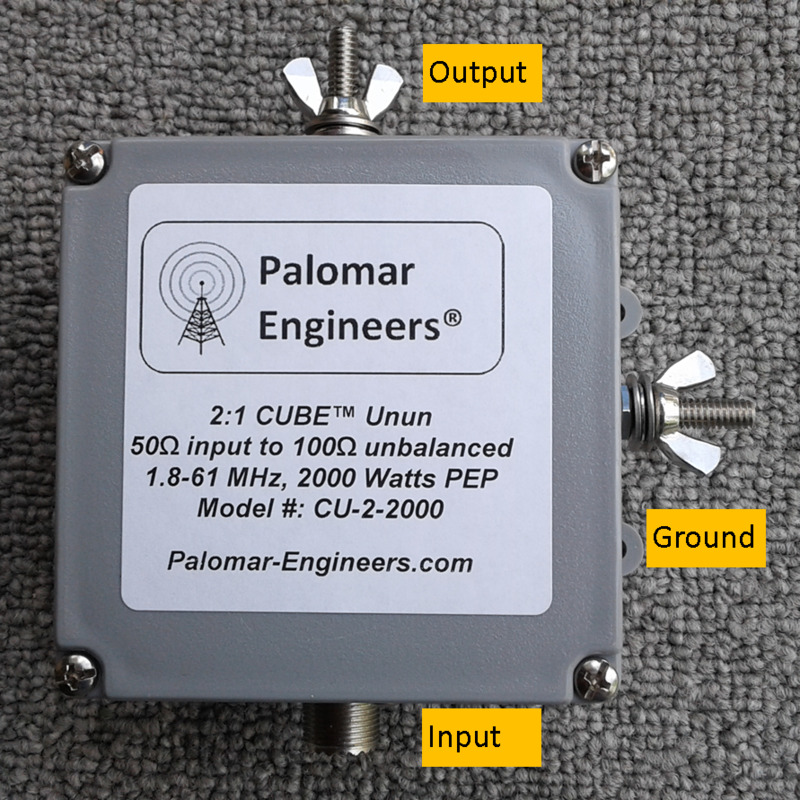 Enclosure Size:4" x 4" x 2"